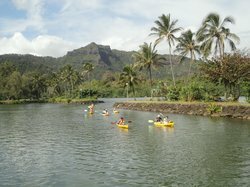 Tours from Capt Andy's Sailing Adventures tend to sell out - travelers recommend booking in advance! I will start with, I HIGHLY RECOMMEND taking this tour. We have taken a fair amount of sunset cruises in our travels...but this one takes the cake. We opted for the high end tour, and it was well worth it. The boat provided plenty of shade. 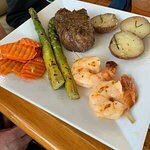 The food was awesome-- steak and grilled shrimp, with potatoes, asparagus, and carrots--finished with a key lime cheesecake. Drinks were plentiful...service was outstanding. 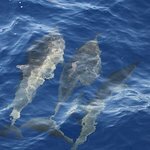 Our trip may have been an outlier, but we got to see dolphins and whales on the journey. 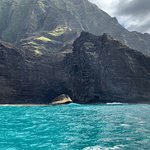 The Na Pali coast was amazing to see. We had seen it on a helicopter tour earlier in the week but getting to see it from the water was the most amazing part of our week. Wow, what a day. Hold on folks, the waves are big. 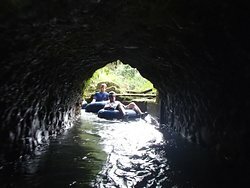 We spent the day on the NaPali coast, backed into caves, under waterfalls, snorkeled, saw dolphins and turtles. A great day. It was pretty rough out there though. I was a big nervous coming back with huge waves but our driver was confident and capable. I think the catamaran dinner cruise might have suited me better but my 14 year old granddaughter loved the thrill. 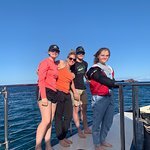 WE had a great group and saw some great fish while snorkeling. Highly recommend this company. This was a fantastic dinner tour. 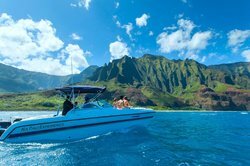 We got to soak in some sun, enjoy the water, and see the incredible Napali Coast. Our staffers were fantastic, our captain was knowledgeable, and we even got to see whales and dolphins. The view of the coast is unreal — I will never forget it. The 4 hours felt a bit long, but that’s how long it takes to get there and back so it’s well worth it. 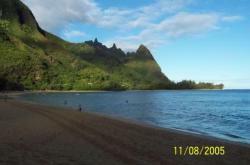 First, I would give this 5 stars but I love to snorkel and this trip only allowed for about 30 minutes of water time. My husband likes less time in the water and would have probably rated it higher because of the water time! The crew was excellent, the amount of travel and information about the coast was impressive! 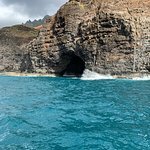 I’ve been on a snorkel trip in Oahu, the big island and now Kauai and in comparison, this food was a good but some of the other places I’ve been had more options and tasted a little better. My kids aren’t fans of slaw or beans and those were the only two side options with the burger or chicken. Overall, very beautiful & tons of information about the landscape and island. Would have liked more time to snorkel. Capt. Kyler, Chef Hans, Kevin, Paul and Nico we’re so much fun, yet too notch professionals at the same time! 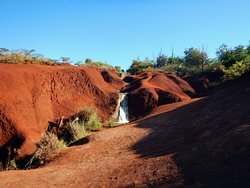 DO NOT LEAVE KAUAI WITHOUT TAKING THIS TRIP! Amazing dinner, great beverages and the best crew you could ask for! 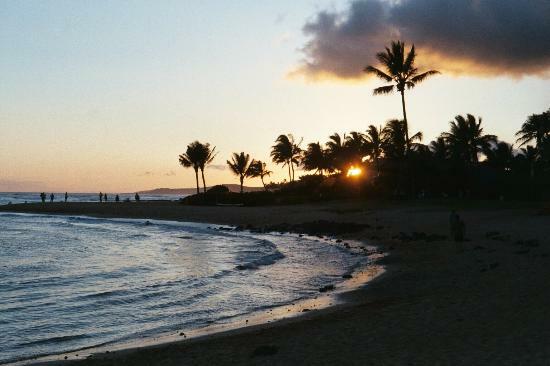 I will do this again in a heartbeat and I’ve lived on Kauai for years! 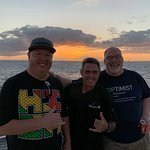 Captain Roy gave us a great evening tour of the Napali Coastline. He was entertaining, informative and guided us through some rough waters. The food was so so good - much better than we expected (Shoutout to Cook Kevin). The crew was also great and once the bar opened, we were never without a drink. The few people that got seasick they took great care of. Highly recommend. Very organized boarding. I was torn with all the options but glad I chose Captain Andy's. 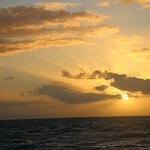 My wife and I did the sunset cruise with the surf and turf dinner. We had a wonderful time on board their boat. The crew was wonderful, the sights we wonderful, the food was wonderful.